This is the next in a series of blog posts that will cover the topics discussed in the ASP.NET Community Standup. The community standup is a short video-based discussion with some of the leaders of the ASP.NET development teams covering the accomplishments of the team on the new ASP.NET Core framework over the previous week. 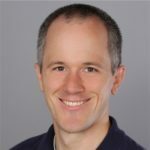 Join Scott Hanselman, Damian Edwards, Jon Galloway and an occasional guest or two discuss new features and ask for feedback on important decisions being made by the ASP.NET development teams. Recently, a proposal was made to build a basic object mapper; this started an engaging conversation about the proposal and AutoMapper. During the stand up, Damian answered some questions about this issue – Basic object mapper for simple model-viewmodel-model property mapping, and shared that he has been talking to Jimmy Bogard to discuss future plans. SignalR: The team continues to work on porting SignalR to ASP.NET Core, and plans to ship it by the end of the year. To learn more about some of the design issues that team has encountered during this process, please watch David and Damian’s talk from NDC London 2017. Continued improvements to Tag Helpers: For example, the team is adding head and body tag helper to the framework. Kestrel: The team continues to work hard on performance.